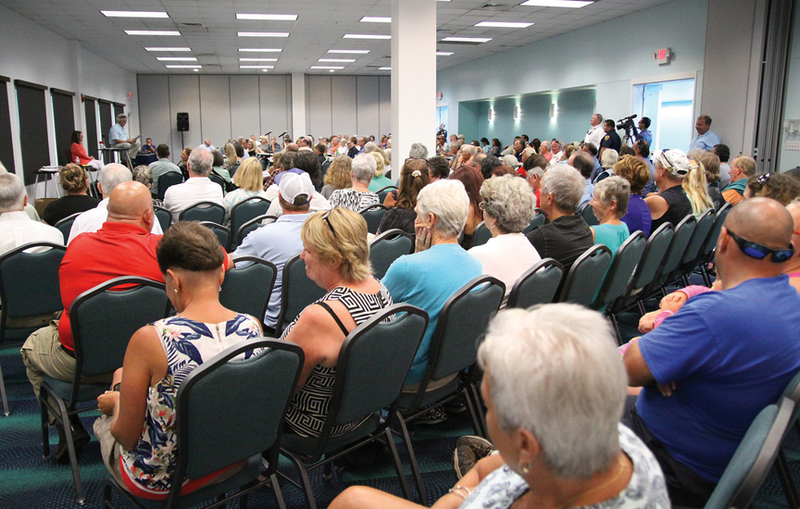 Almost every seat in the room was filled at the South Padre Island Convention Centre as Property Owners Who Care (POWC) hosted a public forum to discuss solutions to Spring Break Wednesday. Approximately 170 people had gathered to discuss Spring Break 2017, offer solutions to help make the event run better, or to brainstorm. “This is your town. I want solutions,” said Shane Wilson, president of POWC and organizer of the forum. For many, this year’s Spring Break was “the worst” Spring Break they’d seen. Numerous residents and business owners, some who have lived or operated on the Island for as many as three decades, described this year’s bacchanals as the most chaotic. Several residents described how their properties had been burglarized or vandalized. Some even went as far as saying they feared for their lives. For the majority, however, the main concerns were traffic control, law enforcement presence, alcohol consumption and the enforcement of existing ordinances, such as noise and mass gathering ordinances. “I think the main problem that we had was that the traffic was not flowing,” said Art Chapa. He suggested that may have been caused by out-of-towners not knowing that Gulf and Laguna Boulevards do not run the entire length of the Island. “In my opinion, it creates a dangerous situation,” he said, especially in regards to the needs of emergency vehicles trying to gain access to locations on clogged roads. He suggested that the two side streets be made one-way streets during Spring Break.